When people ask me if I like kids, I always hesitate to answer truthfully. I know the inquisitor more likely than not buys into the almost universally accepted idea that children are innocent. Way I see it, if children are so flipping innocent, why do they look over their shoulder before they do something wrong? Huh? Answer me that, you dirty baby lovas! So, when people ask me if I like children I always say it depends. Some are cool. Some are econo-sized emissaries of Satan. Caiden, however, is definitely cool. Caiden came along with his dad to get some coffee from 1515 Broadway. Caiden had the best demeanor: calm, friendly but composed. He also looked just like his dad. LOL @ "emissary of Satan", yeah you might not wanna try and make one Noah. ha. I think I have a new favorite in your project. The DOF and out of focus areas look great (great lens, by the way). And man, those eyes! 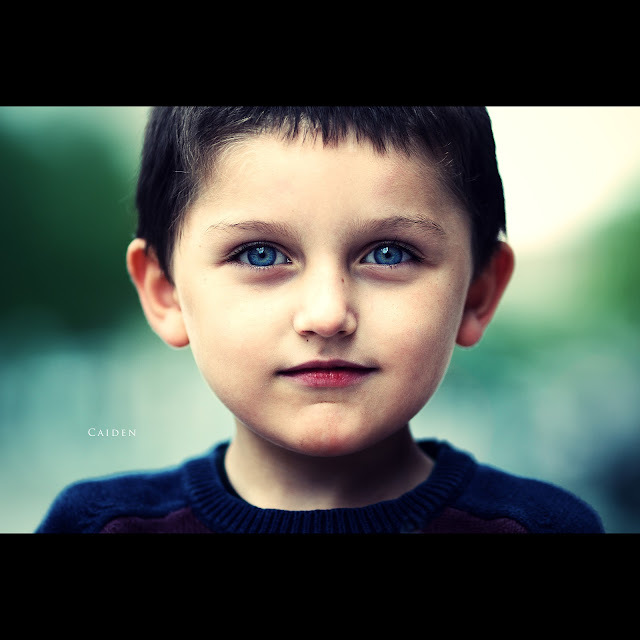 They say the eyes don't lie, and Caiden's eyes convey a kindness and innocence that is rare in most kids. You did a phenomenal job of capturing that! Bravo sir!